#LentilSoup is definitely one of my go-to meals, especially once it starts getting chilly (sniff sniff). The recipe always changes slightly since I end up adding whatever veggies I have in the fridge, but the base is the same. Theo is eating everything now, so I am all about #BulkCooking and preparing #TwoInOne. Why not?! Equally healthy and so much easier! Just make sure to add condiments AFTER you separate your babies portion of the food! 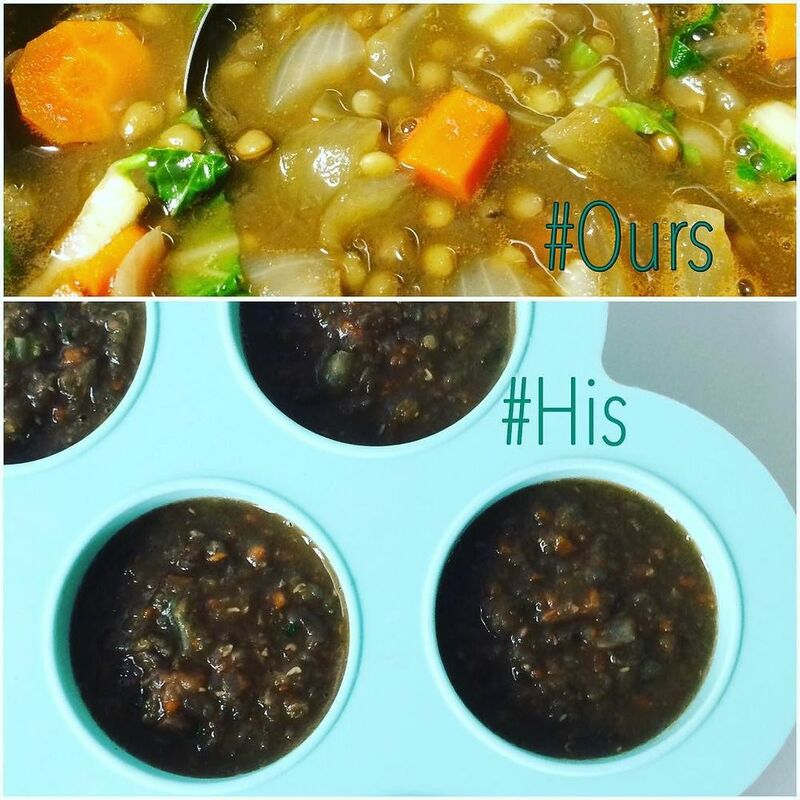 #Ours: Bring 4 cups of low sodium vegetable or beef broth and 2 cups of water to boil. Chop 1 small onion, 3 stalks of #bokchoy, and 3 large #carrots. Add 1 cup of lentils to the pot and bring to a boil. Once boiling, lower to medium and add veggies and ½ cup of tomato puree. Cook for 35-40 minutes. Condiments: turmeric, S&P to taste, and/or olive oil. #His: We are playing around with #textures, so I intentionally left the soup a little chunky. Avoid using too much liquid when blending.